Republicans and Democrats did see the president’s description of the country quite differently. Most Republicans think Mr. Trump’s depiction of the state of America is accurate, while six in 10 Democrats think the President’s description is worse than the country really is. There is agreement across party lines that Mr. Trump is trying to do what he said he’d do during the campaign. Reacting to the president’s description of the economy as he took office, Republicans and independents think he did inherit a bad economy, while three in four Democrats think the president took over an economy that was already improving. Majorities overall were positive toward his plans for the military, trade, foreign policy, the budget deficit, and taxes. The president won favor from viewers for his plans to build roads and bridges -- the one issue on which his approach appealed to most Democrats as well as nearly all Republicans. For Republicans and independents, the speech boosted optimism about what the administration will do moving forward. Just a quarter of Democrats felt more optimistic. As is typical for a presidential speech, viewers tended to come more from the president’s own party; in this case more Republicans tuned in. Historically, a president’s partisans are much more likely than others to watch an address to Congress or State of the Union. 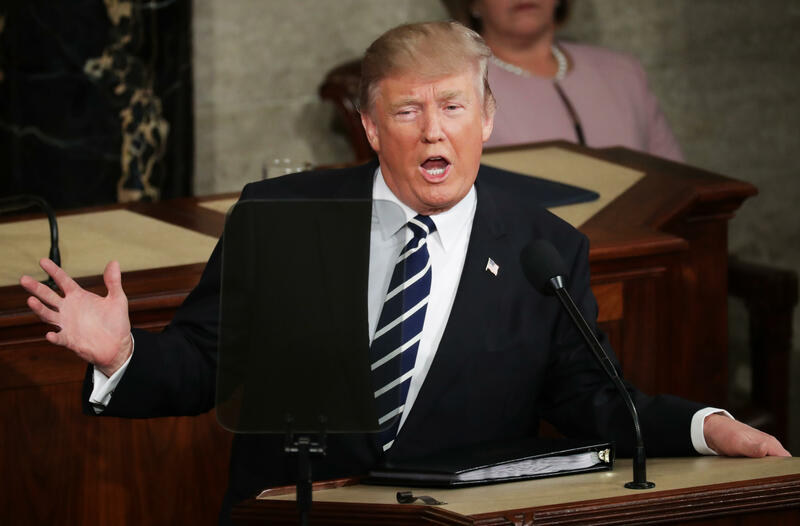 The poll was conducted immediately after the conclusion of the president’s address to Congress by re-contacting a scientifically sampled panel of Americans who had first been interviewed in the days leading up to the speech and had stated that they planned to watch. A total of 857 speech watchers were interviewed. The margin of error for the total sample is 4.2 points.